When it comes to building a new home in the Triangle area, we know that there are many construction companies to choose from. Although many will promise low prices, not every company will deliver a genuine level of craftsmanship and professionalism. Our A+ rating with the Better Business Bureau demonstrates our company’s commitment to customer satisfaction and professionalism. Our company is locally-owned and operated, which means we are familiar with the challenges and opportunities our residential and commercial clients in Raleigh, NC and beyond encounter on a daily basis. Our professional Raleigh builders deliver a quality of workmanship you won’t find anywhere else — just take a look at our new construction project gallery to see for yourself. For more than 20 years, Mark, our licensed general contractor at Enhance Construction, has built dozens of beautiful, custom homes for clients from Raleigh to Durham to Cary and beyond. Don’t wait to contact us about our professional residential construction services! Although Enhance Construction does not offer home design services, we will sit down with you at your home to go over previously drafted design blueprints. Need help beginning the design process? We’d be happy to assist you in finding and setting up an appointment with a reputable architect in the Raleigh-Durham area. If you are interested in setting up a free consultation on a new home build, please fill out the form to the right or call us at 919-524-9311. 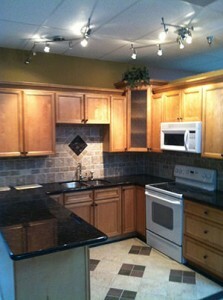 All of us at Enhance Construction look forward to working with you to envision and make your dream home a reality! 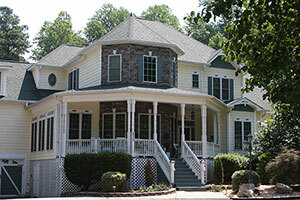 Enhance Construction is proud to be a leader in construction, renovation and remodeling services in the Triangle, delivering professional new home construction service at competitive prices to homeowners in Raleigh, Durham, Cary, Apex, Garner, Knightdale, Wendell, Zebulon, Wake Forest, Morrisville, Holly Springs, Fuquay-Varina, Clayton, Smithfield, Benson and surrounding areas in Wake County, Johnston County, and beyond.